The Tigalari script is in the unusual position of having been used to write one language, falling into almost complete disuse, and then undergoing revival efforts to write a different language. For centuries, sacred Sanskrit documents, typically palm-leaf manuscripts, in southwest India were written in the Tigalari script. Indeed, the religious heads of the eight Mutts (Ashta matha) of Udupi (established over 800 years ago) have been traditionally forbidden to use any script apart from Tigalari. 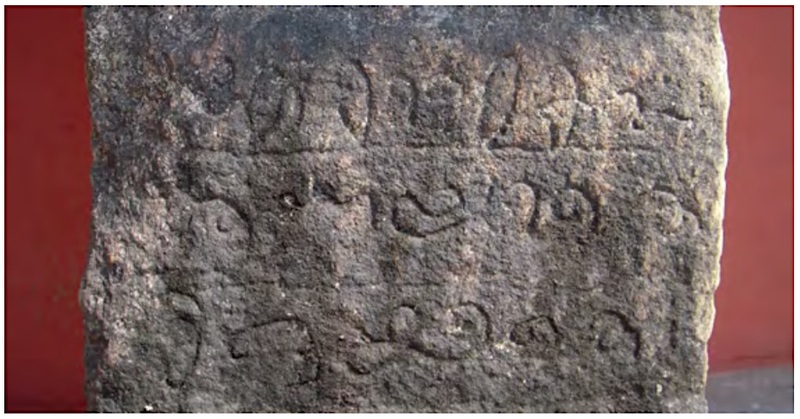 Tigalari was also used to write the Kannada and Tulu languages of the western coastal belts and the Sahyadri mountain ranges (Malanad) of Karnataka and the northern districts of Kerala. 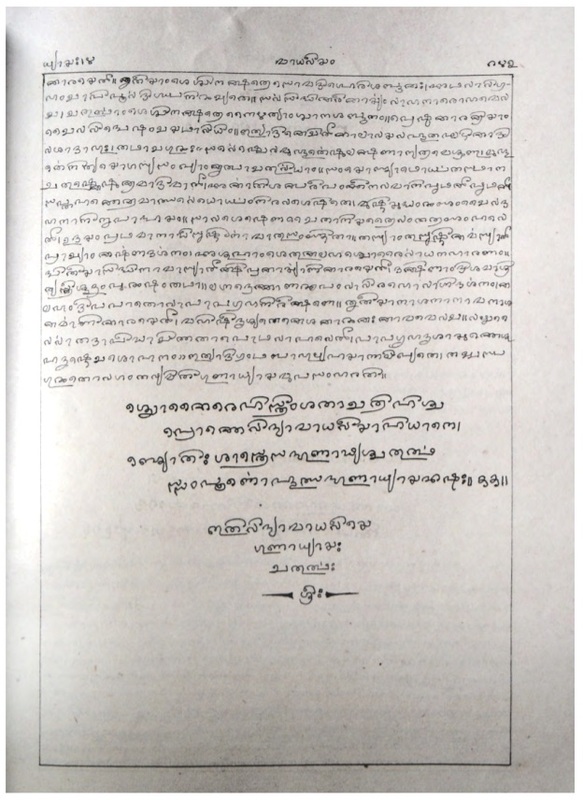 With the advent of printing, though, Tigalari — which was exclusively a handwritten script — fell into disuse and was forgotten. Missionaries in the region used the Kannada script instead. In the past twenty years, though, the Tigalari script has re-emerged wearing, as it were, a different hat — an endangered-language hat. The Karnataka Tulu Sahitya Academy, founded in 1994 as a cultural wing of the Government of Karnataka, has introduced the Tuḷu language (written in the Kannada script) and Tigalari-Tulu script in schools across the Mangalore and Udupi districts. The Academy provides instructional manuals to learn this script and conducts workshops to teach it. The website also offers “Tulu script” (that is, Tigalari) lessons online. So the ancient and honorable script Tigalari is now in a fascinating position. 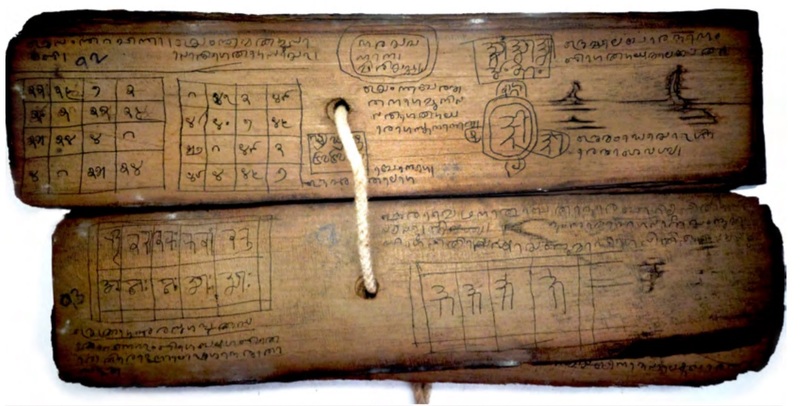 On the one hand, we have increasing academic interest in the ancient palm-leaf manuscripts written in Tigalari, plus the fact that even today, in the Tulu speaking regions, Tigalari is still used to a small extent for writing birth charts, creating charms and mandalas or for reciting/memorising religious scriptures from manuscripts that have been handed down generations. On the other hand, we have a state government that is trying to create a current usage for the script by adapting it for purposes that are anything but ancestral. “I wouldn’t really consider Tigalari a script for Tulu language,” wrote one Tigalari typographer. “Tulu is largely an oral language. A beautiful oral language. 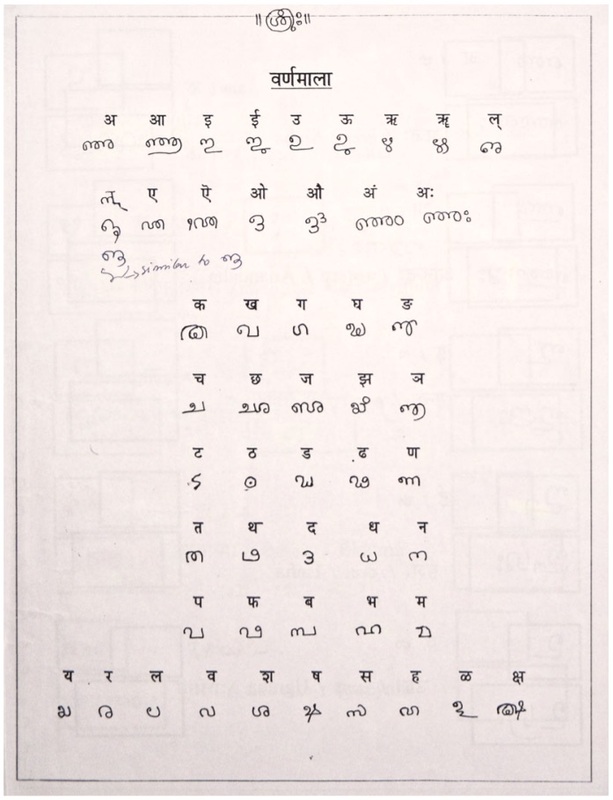 The Tigalari script was used in the Tulu speaking regions to write large number of Sanskrit language books. There are very few (maybe 20) Tulu language/Tigalari script books as opposed to thousands of Tigalari-Sanskrit language books. “The Tulu language is not recognised by the Indian government in Schedule 8. The inclusion of any language in the 8th schedule makes it eligible for the government’s support — lots of funding. Speakers of Tulu language are fighting to be recognised by the 8th schedule. It’s as though Tigalari is being recycled: having born the weight of history and proven to be of such value, it cannot be allowed to go to waste.